Help desk managers have a tough job trying to manage the expectations of the organization they work for, keeping computer systems and networks up and running, while troubleshooting any emerging issues. Helpdesk staff have to swiftly remedy any software glitches, outages, hardware failures, viruses, cyber attacks and other errors, balancing this with the other day-to-day work that they do, giving help and support for common issues. IT departments in many organizations around the world have turned to DeskAlerts to help balance their helpdesk employees’ workloads and improve communication. 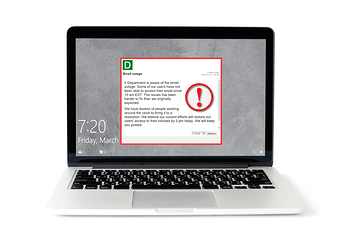 DeskAlerts is an internal communication software solution that works by sending pop-up notifications to employees’ desktops. It is a more powerful way of communicating than by sending emails - most of which never get opened or read. The messages appear on the screen regardless of which software application is in use at the time, and can’t be ignored or skipped. Messages are even shown on locked screens or when a computer is in standby or screensaver mode. Send notifications about scheduled outages so employees can be prepared in advance that systems are going to be unavailable for a period of time. Send notifications about any unforeseen outages and updates about estimated time of system restoration. Send information to all employees when there are known issues affecting hardware or software or network systems. 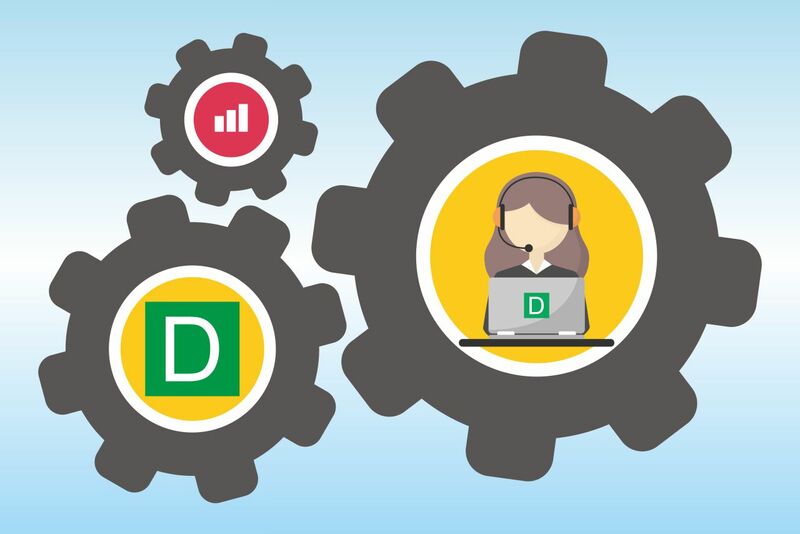 By using DeskAlerts to do these things, you can take the pressure off helpdesk staff so they can get on with the task of solving the problem at hand. When everyone in the organization is sent information about known and wide-spread issues, they are not going to call the helpdesk en masse. Send information about any known cyber threats such as viruses, malware and ransomware that are affecting other businesses. Sent hints, tips and reminders about some of the more common problems that the helpdesk fields calls about. Send general educational messages about IT systems, processes, policies and procedures to help employees understand better. DeskAlerts can be used straight out of the box and deployed to your organization, sending messages to the entire workforce or to custom groups of users based on your Active Directory. It can also be customized to work with many other software packages, such as custom helpdesk software. This integration can further enhance and improve your work practices within your helpdesk team. Depending on the software you use, when it is integrated with DeskAlerts it may generate alerts automatically which are sent to the entire organization. It can also generate alerts that are sent to just the IT team alerting them to a new issue.